Now with 55 Top Stories. WASHINGTON (AFP) – A wave of charged plasma particles from a huge solar eruption has glanced off the Earth’s northern pole, lighting up auroras and disrupting some radio communications, a NASA scientist said. But the Earth appears to have escaped a widespread geomagnetic storm, with the effects confined to the northern latitudes, possibly reaching down into Norway and Canada. “There can be sporadic outages based on particular small-scale events,” said Dean Persnell, project scientist at NASA’s Solar Dynamics Observatory at Goddard Space Flight Center. Thursday Open Thoughts from mplo are centered on Why is America producing such crap in music and in movies? Cornucopia Thursday is Ed Tracey‘s weekly foray into news items outside the headlines, in the arts and sciences; foreign news that generates little notice in the US media and ….well, just plain whimsy…..
Firefly Memories 1.0 is where (normally)Alma takes a look back at some of the Brilliant essays of our first years posts, highlighting those which exemplify our firefly-dreaming spirit and mission. Alma has an eye problem so Dreamer is filling until she’s better. Today:Yes You Can take on City Hall by…… Alma!!! Nicholas D Kristof: Tunisia. Egypt. Bahrain? Manama, Bahrain Tunisia The gleaming banking center of Bahrain, one of those family-run autocratic Arab states that count as American allies, has become the latest reminder that authoritarian regimes are slow learners. Bahrain is another Middle East domino wobbled by an angry youth – and it has struck back with volleys of tear gas, rubber bullets and even buckshot at completely peaceful protesters. In the early-morning hours on Thursday here in the Bahrain capital, it used deadly force to clear the throngs of pro-democracy protesters who had turned Pearl Square in the center of the city into a local version of Tahrir Square in Cairo. This was the last spasm of brutality from a regime that has handled protests with an exceptionally heavy hand – and like the previous crackdowns, this will further undermine the legitimacy of the government. Now that Social Security has started to pay out more than it takes in, Social Security can simply collect what the rest of the government owes it. This will keep it fully solvent for the next 26 years. . . . . . .
A most dastardly deed occurred last Friday when the Obama administration issued a 29-page policy statement totally abandoning the federal government’s time-honored role in helping Americans achieve the goal of homeownership. Instead of punishing the banks that sabotaged the American ideal of a nation of stakeholders by “securitizing” our homesteads into poker chips to be gambled away in the Wall Street casino, Barack Obama now proposes to turn over the entire mortgage industry to those same banks. The admission comes just after the eighth anniversary of Colin Powell’s speech to the United Nations in which the then-US secretary of state relied heavily on lies that Janabi had told the German secret service, the BND. It also follows the release of former defence secretary Donald Rumsfeld’s memoirs, in which he admitted Iraq had no weapons of mass destruction programme. Parts 2 through 5 and transcript below. 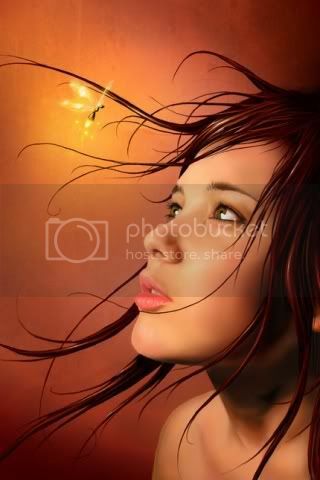 Madama Butterfly (Madame Butterfly) is an opera in three acts (originally two acts) by Giacomo Puccini, with an Italian libretto by Luigi Illica and Giuseppe Giacosa. Puccini based his opera in part on the short story “Madame Butterfly” (1898) by John Luther Long, which was dramatized by David Belasco. Puccini also based it on the novel Madame Chrysantheme (1887) by Pierre Loti. According to one scholar, the opera was based on events that actually occurred in Nagasaki in the early 1890s. The opera is set in the city of Nagasaki. Japan’s best-known opera singer Tamaki Miura won international fame for her performances as Cio-Cio San; her statue, along with that of Puccini, can be found in Nagasaki’s Glover Garden. Butterfly is a staple of the standard operatic repertoire for companies around the world and it is the most-performed opera in the United States, where it ranks as Number 1 in Opera America’s list of the 20 most-performed operas in North America. MANAMA, Bahrain – More than 50 armored vehicles were seen heading toward central Manama on Thursday shortly after police firing tear gas and wielding clubs cleared anti-government protesters from a landmark square. The main opposition group Al Wefaq said at least two people were killed in the pre-dawn assault, which was littered with flattened tents, trampled banners and broken glass. Up Date: The Democratic lawmakers in Wisconsin left the state ending, at lest temporarily, shutting down the debate in the State Senate on the controversial bill that would strip state workers of their bargaining rights. According to the rules that govern the body, at least one Democrat must be present for a vote to take place. Governor Scott Walker has insisted that in the face of a large budget deficit this is an austerity measure. In reality. this is union busting, denying union workers their rights at the collective bargaining table. 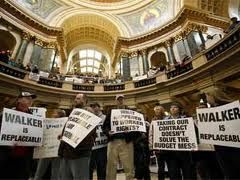 Governor Scott Walker of Wisconsin has proposed a bill that would kill state employees rights to collectively bargain for anything except wages. Seen as not only an assault on public employees, it is also being seen an attempt to end union representation. With threats of protests from Wisconsin state workers, Gov. Walker threatened to call out the National Guard. Tuesday, nearly 30,000 state workers showed up in Madison, the state capitol, to protest. Schools were closed and students marched in solidarity with their teachers. Some of the signs reflected the current revolts in the Middle East with slogans like “If Egypt Can Have Democracy, Why Can’t Wisconsin?,” “We Want Governors Not Dictators,” and “Hosni Walker.” Ouch. State Sen. Dan Kapanke of La Crosse told The Associated Press on Wednesday that he didn’t know where Republicans stood on the proposal that drew more than 13,000 protesters to the state Capitol on Tuesday. When asked about the position of Republicans, Kapanke said he didn’t know the answer. The bill was voted out of committee early this morning on a strictly partisan vote and school districts will be closed on Thursday in anticipation of protests. Russ Feingold, former Wisconsin Senator and founder of Progressives United, talks with Rachel Maddow about the rallies against the bill and how to politically empower the American working class against corporate greed. More protests are scheduled for today. Remind me again, what country do I live in? The Guardian also continues with live updates from the region. The demonstrators have vowed to avenge three men killed by riot police during a pre-dawn raid on their base camp in the centre of the capital. The raid left their tent city in ruins and temporarily destroyed hopes of a peaceful change. They had spent the day regrouping inside the grounds of the hospital after being evicted from the Pearl Roundabout by up to 500 officers who attacked them shortly after 3.15am on Thursday. Hours after the attack on Manama’s main Pearl Roundabout, the military announced a ban on gatherings, saying on state TV that it had “key parts” of the capital under its control. Khalid Al Khalifa, Bahrain’s foreign minister, justified the crackdown as necessary because the demonstrators were “polarising the country” and pushing it to the “brink of the sectarian abyss”. Speaking to reporters after meeting with his Gulf counterparts, he also said the violence was “regrettable”. Two people had died in police firing on the protesters prior to Thursday’s deadly police raid. The British government has launched a review of arms exports to Bahrain after it emerged that the country’s security forces were supplied with weapons by the United Kingdom. After a bloody crackdown in the capital, Manama, left up to five people dead and more than 100 injured, Foreign Office minister Alistair Burt said the government will “urgently revoke licences if we judge that they are no longer in line with the [UK and European Union] criteria”. Bahrain’s security forces are the backbone of the Al Khalifa regime, now facing unprecedented unrest after overnight shootings. But large numbers of their personnel are recruited from other countries, including Jordan, Pakistan and Yemen. Precise numbers are a closely guarded secret, but in recent years the Manama government has made a concerted effort to recruit non-native Sunni Muslims as part of an attempt to swing the demographic balance against the Shia majority – who make up around 65% of the population of 1 million. Libya’s government has brought out its supporters to express their loyalty to try to stifle a planned “day of rage”, but sporadic violence has continued in the east of the country, far from Tripoli. Clashes were reported for a second day between supporters of Muammar Gaddafi and the relatives of two men killed during a protest in al-Bayda on Wednesday, when unrest also erupted in Benghazi, Libya’s second city and opposition stronghold. Snipers were said to have killed four more protesters in Ajdabiya, south of Benghazi, where six more dead were reported by the Libya al-Yawm news website. “There are thousands of people in the centre of town, and it is spreading, and they are being repressed,” said Ramadan Jarbou, a leading local journalist. Egypt’s new military rulers came under criticism Thursday from a leading democracy advocate as well as from youth and women’s groups for what they say is a failure to make decisions openly and include a larger segment of society. Five days after ousting Hosni Mubarak in a popular uprising, Egyptians continued protests and strikes over a host of grievances from paltry wages to toxic-waste dumping. They defied the second warning in three days from the ruling Armed Forces Supreme Council to halt all labor unrest at a time when the economy is staggering. Influential group of clerics demand transitional unity government, as two demonstrators are shot in continuing violence. A group of senior clerics in Yemen has called for the formation of a national unity government in order to save the country from chaos. Their comments on Thursday came amid fresh clashes between thousands of pro- and anti-government protesters in Sanaa, the capital. Almost solid premiers. PBS has a Nova marathon including two of them. Those are movies, damn you! Look at me! I’m flesh and blood, life-size, no larger! I’m not that silly God-damned hero! I never was! Alfredo, you needn’t wait. We shan’t need the car any more. We’re going to throw up in the park and then walk home. Alfredo, telephone the Stork Club, we’ll be two for dinner. You sure you want the Stork Club, Mr. Swann? It’s been a year and a half. Surely they’ve repaired the wall of the bandstand by now. Dave hosts Bill Hader, Krystal Smith, and Amos Lee. Jon has Brian Williams (ugh), Stephen Kurt Andersen. Conan hosts Martin Lawrence, Fred Armisen, and Reggie Watts. Women love to be intrigued. They enjoy unraveling the mystery that is man, but you must allow them the freedom to discover you. No. I don’t have that luxury. The women who are interested in me know exactly who I am and what they want, and nine times out of ten, they get it. You’d be surprised. You see, no matter what I do, I can never fulfill their expectations.